Ctra. Fuenmayor, 4, 26370 Navarrete, Spanje. Friendly hotel on the Way of St. James, also known as Camino de Santiago. 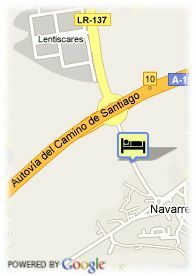 This hotel is located in the locality Navarrete, one of the places on the Way of St. James in La Rioja. 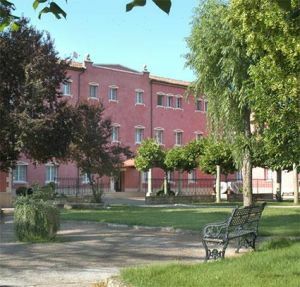 It is a well-connected place, situated at just five minutes by car far from Logroño. The hotel San Camilo invites its guests to relax fully in the nature, enjoying the environment of the lush forests. The light and the rooms decoration make the stay here comfortable and warm. Some of the rooms have arched roofs and all are with hydromassage in the bathroom. The recreational supply in the neighbourhood covers areas from adventure sports to golf, riding or wines menu, such as craftworks museums, paleontology or oenology. Voor oudere kinderen en volwassenen wordt 31.03 € per extra bed aangerekend.